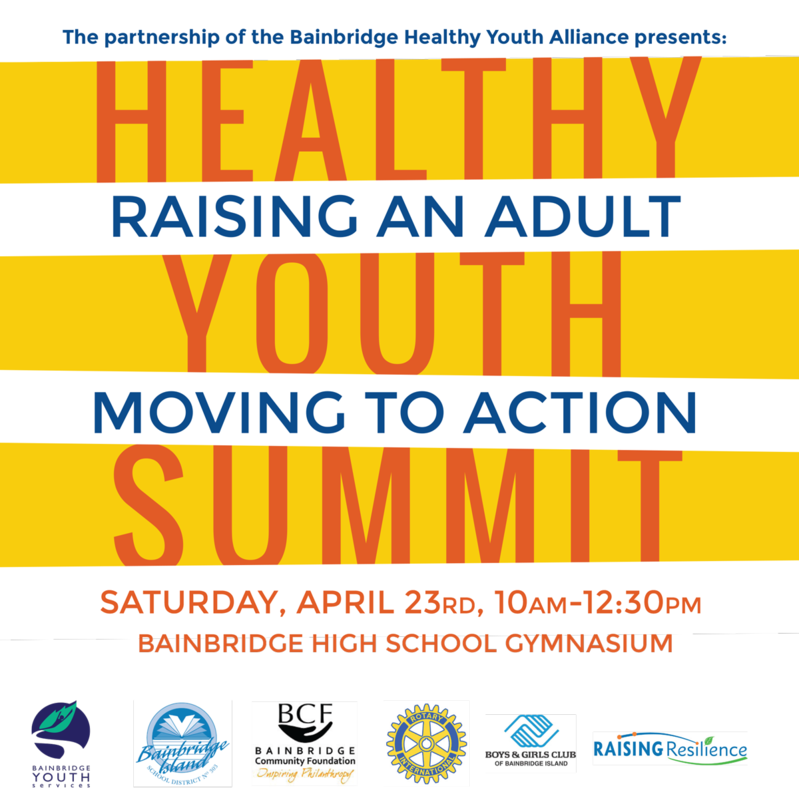 An interactive workshop around the topic Raising an Adult: Moving to Action will be held April 23rd at the Bainbridge High School gymnasium. 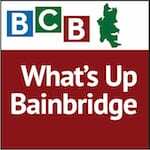 In this podcast BCB host Channie Peters talks with Cezanne Allen about this upcoming community event. 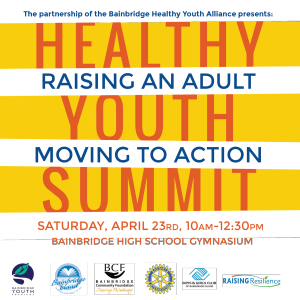 Organized by the Bainbridge Healthy Youth Alliance, the workshop will offer concerned parents, therapists and educators an opportunity to follow up on issues raised by author Julie Lythcott-Haims’ talk in February about her book, How to Raise an Adult. In her book and her talk on BI, Lythcott-Haims spoke of academically accomplished students who were poorly equipped to handle adult life on their own. She noticed that many high school students entering college were over-stressed, over-scheduled, and under-prepared to handle life away from home and parents. All parents, grandparents, educators, therapists and anyone that touches the lives of youth are invited to attend this hands-on, practical 2-1/2 hour seminar, to be held April 23rd from 10 am to 12:30 in the Bainbridge High School gymnasium.